The Garmin RF remote control is designed to work with and operate any 4000- or 5000-series Garmin chartplotter. 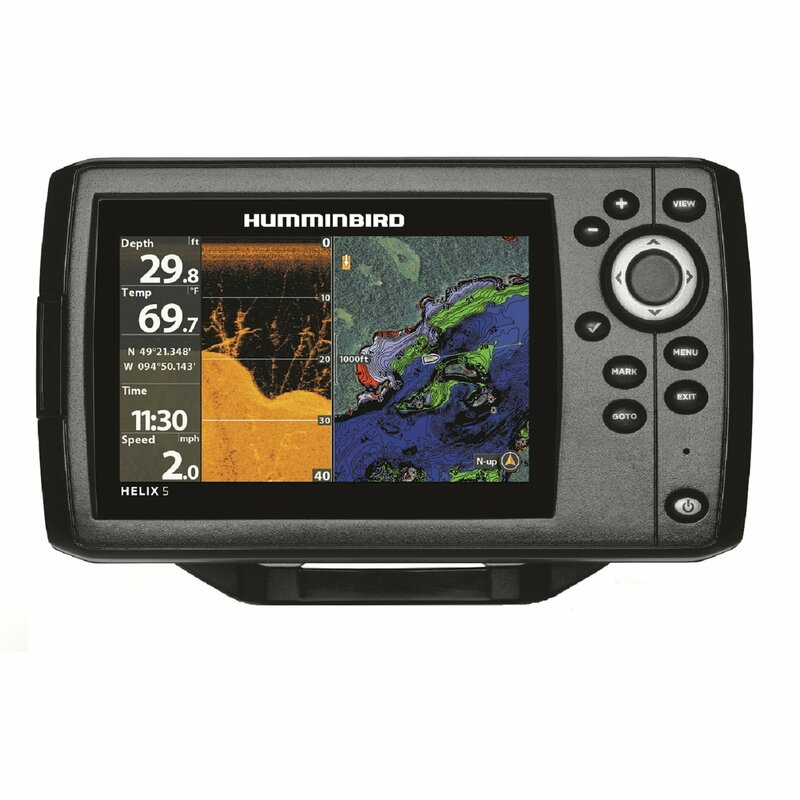 We performed our testing with this unit aboard our Contender test boat on a Garmin 5212. The unit is designated RF because it uses radio signals in the 2GHz band to exercise wireless control over the chartplotter to which it is coupled. The unit fits well in hand and can be operated easily single-handed. It is 5.4-inches tall, 2-inches wide, and 1-inches thick. With two AAA batteries installed it weighs only 3.8 ounces. The unit ships with a lanyard, but no cradle or belt clip. It is waterproof to IPX7 standards meaning it can be submerged to 1 meter for 30 minutes without damage. The three pairing buttons at the top allow the remote to be coupled to as many as three different chartplotters. A light in each button lets you know which plotter you are controlling. The Garmin RF remote has a variety of pushbuttons to control plotter functions. A Range plus/minus key sits at the top, just below are an up/down arrow key and a rocker. The up/down key lets you highlight menu selections while the rocker will move the map pointer around the screen. Normally each menu field onscreen has a blue background color, when using the remote the selected field stays blue while all others go to a white background. The Select button confirms and executes menu selections. Mark builds a waypoint at the boats present position. Home takes you the chartplotter home screen. The Lock button deactivates all the pushbuttons. Hitting the MOB key on the remote starts the MOB function on the chartplotter. Youll then be asked to confirm your MOB choice with the Select pushbutton. Doing so gets you the map page with data directing you back to the man overboard position. Garmin says the unit will work out to a distance of 32 feet from the coupled plotter. On our test boat the maximum distance we could try was about 8 feet. At that distance all the buttons worked properly. This unit carries a one-year warranty.